USA - How does a world-class front-of-house engineer support a megastar who is very particular about every aspect of music production in making his grand exit to touring a success? Barry Manilow is back on the road for ‘One Last Tour,’ and this time he really means it. 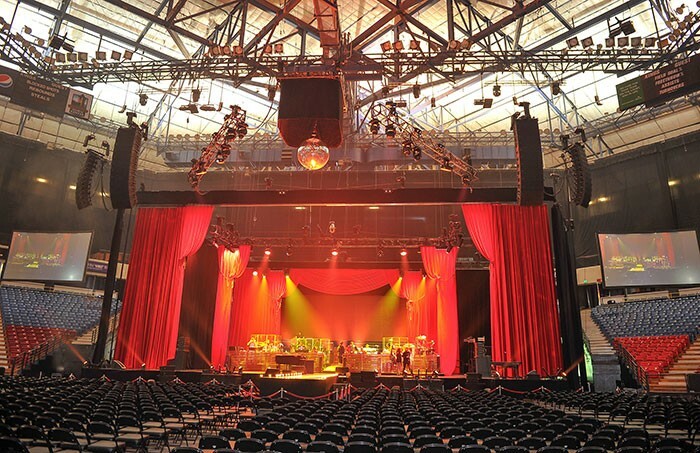 Veteran live sound engineer Ken Newman, who began working with Manilow in 1992, is mixing with a Martin Audio MLA system for the first time, engineered by Delicate Productions crew chief Phil Reynolds. Manilow had 25 consecutive Top 40 hits between 1975 and 1983 and worldwide sales of over 80 million albums over his four-decade career. Last year’s My Dream Duets debuted at No. 4, making it his 15th Top 10 album. Meanwhile, Ken Newman has worked with everyone from Shirley MacLaine, Liza Minnelli, Engelbert Humperdinck, and Paul Anka, and ‘One Last Tour’ represents a unique combination of best practices he’s built for Barry Manilow over the last 23 years. In 1991 when Newman was between mixing gigs, A-1 Audio sent him out as system tech for several of Manilow’s ‘Showstoppers’ shows, with Paul Dalen mixing. When his ‘Greatest Hits’ tour was organised the following year and Dalen declined, he suggested they have Newman mix, and the rest, as they say, is history. 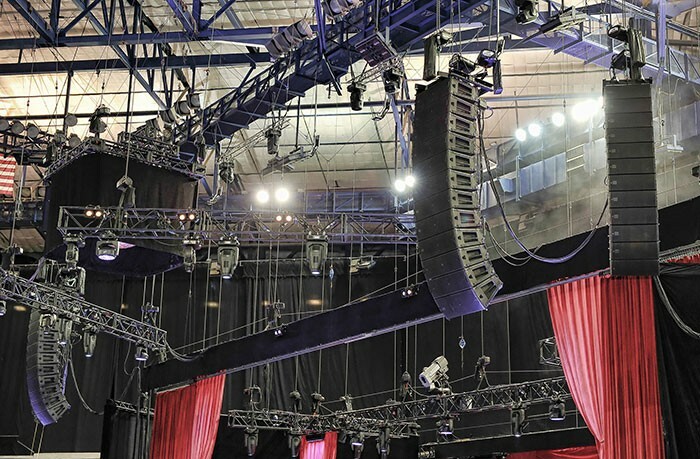 For Manilow’s 2015 final arena outing, Newman decided to make the change to Martin Audio’s MLA system. Delicate Productions provided the system, which consisted of 11 MLA per side with one MLD downfill cabinet. Side hangs were a dozen MLA Compact per side. Three MLX dual 18-inch subwoofers per side were used in a cardioid configuration. Front fills were W8LM Mini line array enclosures. The switch to MLA, however, was not taken lightly. According to Newman: “The biggest challenge on the Manilow show has always been gain-before-feedback on Barry's vocal mic, because he's not comfortable putting the mic close to his mouth, and he's not the loudest singer I've ever worked with. Those factors, combined with his desire for every aspect of his dense arrangements to be heard by his audience while keeping his vocal well on top of the mix, combine to make gain on his vocal mic a constant challenge. MLA is a powerful marriage of loudspeakers and software, where transducers are individually driven and optimised to deliver the summation of crystal clear sound at the audience’s ears, ensuring even and smooth coverage across the entire audience. “The MLA system allows me to spend less time walking the room because I have confidence that coverage is uniform throughout,” continues Newman. “That allows me to concentrate on my main job, which is mixing the show and making sure the mix is everything Barry wants it to be. “MLA doesn't need much in the way of tuning, because we've already entered our target curve into the system's software. Optimisation mainly consists of adjusting the delay times of the side hangs, subwoofers and front fills. It can be done in as little as 15 minutes.